2018 summer field inspired me to share the Matrix-Q Thinking tools and in particular about its origin, as result of research on nature inspired knowledge and technology of ancient cultures and civilizations. 2018 summer research was dedicated to Celtic, Roman & Sikh thinking Tools. (Previous years i have worked on nordic, slavic, vedic, japanese, chinese, and other thinking tools). I find the ancient cultures thinking tools so useful for modern culture innovators and leaders, entrepreneurs and sustainable development professionals as they help us perceive and approach ( holistic and systemic perception) complexity through simple tools, without the need of using artificial technology. While nature inspired thinking tools, can be as well translated into modern digital technology and A.I. ( see Matrix-Q Algorithms, Matrix-Q A.I., Matrix-Q Data Generation, Matrix-Q Translator, Matrix-Q Mathematics and other innovative applications, by the Matrix-Q Research Institute ). A thinking tool in ancient times, cultures and civilizations, had a similar use as today A.I. and data processing tools; yet with the added value that some of their thinking tools were systemic, holistic and were utilized from management, leadership, to education, social management, military and even business. 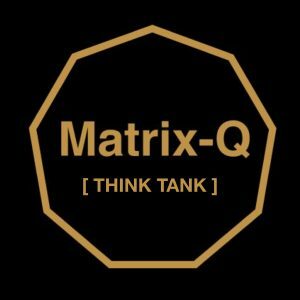 If you are interested on thinking tools and primitive computing methods, to explore on their power to enhance your perception and thinking (decision making, strategic management, leadership abilities) the Matrix-Q Think Tank Meet Ups will be an ideal path to take, to get familiar with them and experience their power. Here one of the tools MQ9 Solutions is utilizing nowadays successfully. http://mq9.nl/media.html ( The tones in the video clip – left- belong to a Fibonnacci Pattern of cyphers, discovered by application of Matrix-Q Mathematics – Matrix-Q Knowledge by the Matrix-Q Research Institute – The Pattern of cyphers, series, is applied by MQ9 Tools and MQ9 Education Method, for the purpose of enhancing effectiveness – human capital and organization skills, tools and knowledge). MQ9 [ Matrix-Quotient 9 ] – The Golden Triangle of Entrepreneurship from Stichting LDMF e-Library Project on Vimeo.